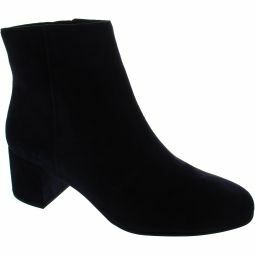 Ankle boot crafted from smooth, petrol suede this is a real statement piece. 7cm (2 1/2 inch) high heels. Sophistication (the pointy toe, sleek silhouette and clean upper) and avantgardism (the sculpted heel).